Social media has become very much a way of life for many of us. As a marketer, the advent of social media is superb, opening up many avenues for us to reach out to our target audience, at a fraction of the cost as opposed to spending on traditional advertising media. Most importantly, it allows for tracking of performance. You know that all important ROI discussions we have in the office, and more so the justifying of marketing spends. Ever since I helped set-up the Facebook page for my then employer some 7 years back, I never looked back. Social media has and will always be part of my integrated marketing plans. It has also become a part of my life, evident from how I also evolved to be a parent blogger. I am one who cannot get past a day without checking my Instagram, Facebook and Dayre accounts, and the number of platforms I have accounts on is numerous. There are probably some which I have already forgotten about. As my colleague puts it, I have quite an active SMP. His abbreviation for "Social Media Profile "
Now, this is where it gets a little complicated. What goes onto the internet probably stays there for a long time, or maybe even forever. Hence that picture of you in your drunken stupor, or that random rant you made about a colleague can one day show its head. Yes. Even if you think you have removed all traces of it by deleting your Facebook account or making a certain post private. Technology these days is more advanced than you can imagine. A little effort to search , and your closet of secrets will probably come out in the open. Even if you do not have any accounts on any social media platforms, what you did last night and who you were out with are probably making its rounds on the internet before you can even say "oh my goodness". 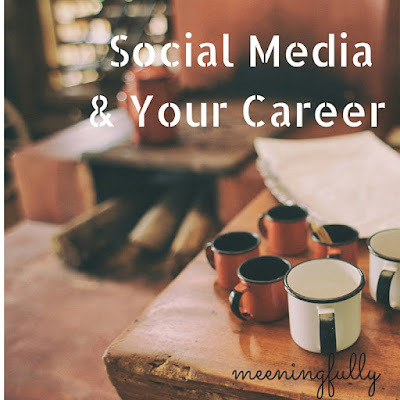 In the same vein, while we endlessly stalk that hot guy on Instagram, or lurk around reading about the day in the lives of your neighbor, you can be very sure recruiters and employers are doing the same. Naturally, they do this to ensure they get the best candidates. These days, qualification and experience are not the be all and end all to getting a job. Employers are also looking for someone who fits in well with the rest of the employees and is able to reflect the company's values in their personality. Does this mean we should all avoid social media like a plague? Of course not, because social media and more specifically social media networking has it benefits and I personally have gained both personal and business related help through what I do online. This topic is fit for a post on its own, hence I will deal with that later. I guess the way social media is, you are responsible for your own actions or more specifically words. While you are free to say as you please, you need to be comfortable with how others view you, more so if you are trying to nail that dream job. Do a scan of the web. 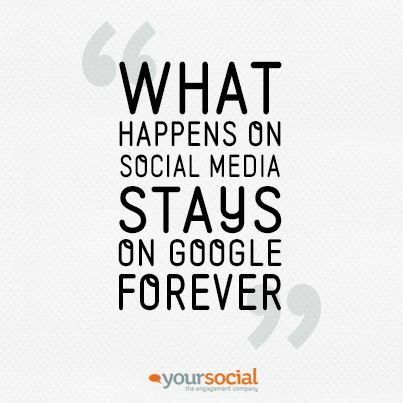 Google, or search the various social media platform on your name to know what comes up. You would definitely want to know what your prospective employers are seeing about you when they do the same right? The search also needs to be done on a regular basis as search algorithms changes from time to time. Knowing your "reputation" helps you prepare for questions that are likely to arise, or quickly remedy any undesirable content. ...unless you are comfortable justifying what you wrote there. Even if you did not write anything negative, employers may think you are giving away too information about the company, and not many will like that. Whether it is on personal issues, or on work related issues... negativity should be avoided. This is self-explanatory. Which employer wants someone who is negative and spreads it widely? More importantly, DO NOT say anything bad about your current boss or colleagues. If you can do that to someone, it is assumed you will do the same to anyone, including your new colleagues. If you volunteer at a pet shelter, or help out at your grandparents hawker stall... these are all engagements that shines a positive light to your personality. Best is leverage on these interests to build your own personal brand. If you are like me with social media accounts on multiple platforms, keep your postings and sharings consistent. Consistency is a reflection of genuinity, and I believe employers will appreciate someone who is authentic. Remember, you should not avoid social media because of the perils it brings. In fact, avoiding it may wrongly reflect that you are not tech-savvy. Being comfortable and following technology advances could actually mean you embrace changes, hence an asset to any company. Social media is definitely not all bad. Using it wisely is the key.